We here at Hermetic Systems use this program and wouldn't consider using anything else. 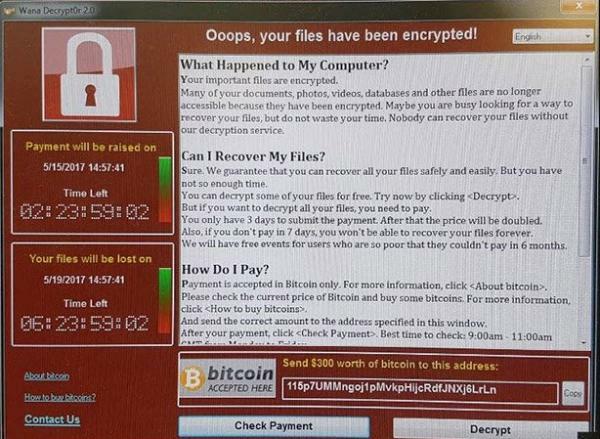 There is currently a plague of malicious programs called 'ransomware'. If your PC becomes infected then you will see a notice informing you that your files have been encrypted (and are unusable), but by paying an amount in Bitcoin you can recover your files (maybe). The best defense against ransomware is to back up your files regularly (preferably daily), then you can delete the encrypted files and restore the backups. File Backup Lite is for backing up files in selected folders and subfolders. The software can be told to back up only files which have changed since the last backup (thus saving time by not copying files unnecessarily). The backup copies are not changed in any way. The program can also be told to back up just files with a particular file extension. First you select a disk drive and folder which contains all the files and subfolders you want to back up. Then you tell the program which files and folders, exactly, you want to back up, and whether subfolders of those folders should also be backed up. Then you select a disk drive and folder for where the backups are to be written. 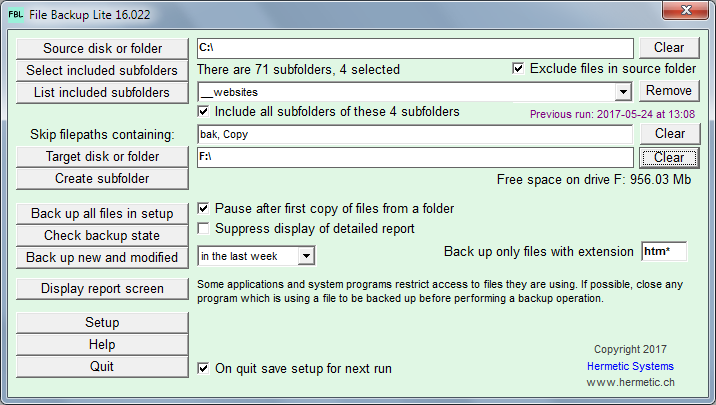 (The target folder structure will be the same as the source folder structure.) You can back up all files, or just new and modified (within a certain date range). Clicking on the 'Backup all files' button or the 'Backup new and modified' button will then perform the backup as specified. You can save this backup specification to a setup file, and reload it on a subsequent run. You can create several different setup files to specify various backup operations. Updates: Purchasers of a user license are entitled to an update to any later version at no additional cost.